Before the foundation of this earth was laid, God so ordained in August 1895 at the St. Phillips Baptist Church, Staten Island, NY for a few African American clergymen, inspired by the great commission, to meet and carry out this challenging biblical mandate. The initial organization was called the Baptist Church Union consisting of several Black churches across New York State. Rev. Dr. S. A. Thomas, Pastor of St. Phillips was elected as the Union’s 1st President, but shortly thereafter resigned due to health reasons. Rev. Dr. C.T. Walker, Pastor of the Mt. Ollie Baptist Church, Brooklyn, NY was elected as the 2nd President and shortly thereafter also resigned after accepting the call to the pastorate of a church in Augusta, GA. In 1897 at the Baptist Church Union’s annual session, held at the Concord Baptist Church in Brooklyn NY, Rev. Dr. William T. Dixon, Pastor of Concord was elected as the 3rd President. It was at this session that the Baptist Church Union’s name was officially changed to the New York Colored Baptist State Convention and obtained its certificate of incorporation. On October 25, 1901, the Women’s Auxiliary was organized and Mrs. Mary Gordon of Baptist Temple New York, NY was elected as the 1st President of the auxiliary. In 1904, Rev. Dr. S. W. Timms, pastor of the Holy Trinity Baptist Church in Brooklyn, NY was elected as the 4th President of the Convention. Dr. Timms served from 1904 – 1912. In 1912 Rev. Dr. George H. Simms, Sr. was elected the 5th President of the Convention and is noted as the Convention’s longest serving President, dedicating 43 years to the work and ministry of the organization. Laymen’s auxiliary with Brother Arthur Adam of the Mt. Olivet Baptist Church, New York, NY as President. 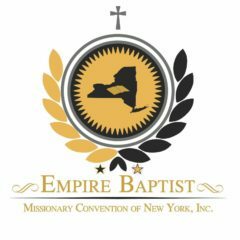 In 1948 the convention was officially renamed the Empire Baptist Missionary Convention of New York State, Incorporated. In 1955, Rev Dr. Sandy F. Ray, Pastor of the Cornerstone Baptist Church, Brooklyn, NY was elected as the 6th President of the Convention. Dr. Ray faithfully served 24 years until his passing in April, 1974. Dr. Ray is noted for bringing the Convention to greater heights. Under his leadership, the Convention purchased the property at 63-65 West 125th Street, New York, NY for $75,000. In honor of Dr. Ray’s stalwart leadership, the building was named the Sandy F. Ray building, which served as the Convention’s headquarters’ building. During his presidency, Dr. Ray became known as a great visionary throughout New York State and across the width and breadth of this nation. He was one of the most sought after preachers in the history of Baptists worldwide and served as Vice President of the National Baptist Convention, USA, incorporated. In 1960 the Ushers’ and Nurses’ Auxiliary was organized and Mrs. Minnie Anderson served as the Auxiliary’s 1st President. Also during that same year under the auspices of the Women’s Auxiliary, the Young People’s department was established and Mrs. Ruth V. Banks served as the department’s 1st President. Following the death of Dr. Ray in 1979, Rev. Dr. Elijah J. Echols, Pastor of the Shiloh Baptist Church, Buffalo, NY assumed the office of the Convention’s 7th President. During Dr. Echols’ presidency, as inspired by the Holy Spirit, he led the Convention into a mortgage burning campaign. However, his death precluded the completion of this task. In 1984 following the passing of Dr. Echols, Rev. Dr. Allen A. Stanley, Pastor of the Bethel Baptist Church, Troy, NY assumed the office as the Convention’s 8th President. The highlight for the 90th annual session of the Convention was to carry out the headquarters’ building mortgage burning ceremony. Dr. Stanley is noted for implementing tenure for Convention and Auxiliary officers, in addition to putting policies and procedures in place. Dr. Stanley’s leadership was well noted and subsequently he was appointed vice president of the National Baptist Convention, USA, Inc. Dr. Stanley faithfully served his assumed and elected tenure and was bestowed the title of President Emeritus following the conclusion of his service as President of the Convention. At the 98th annual session in October, 1993, Rev. Dr. Samuel Austin, Pastor of the Brown Memorial Baptist Church, Brooklyn, NY was elected as the 9th President of the Convention. Dr. Austin’s leadership was widely known and respected. In addition to serving as President of the Convention, Dr. Austin also served as President of the National Baptist Convention’s Congress of Christian Education. In 1998, following the sudden death of Dr. Austin, the Vice President at Large, Rev. Robert W. Dixon Sr., Pastor of the Mt. Calvary Baptist Church, Albany, NY assumed the office of President and was subsequently elected as the 10th President of the Convention in October, 1999. Under Dr. Dixon’s leadership the Convention’s site committee was established, the Accounting fund was enhanced and the Sandy F. Ray building expenses were paid in full. Inspired by God, in 2002, Dr. Dixon presented the vision to the Convention to totally renovate the headquarters’ building and to that end the Convention’s limited liability corporation was organized under the leadership of the Rev. Dr. John H. Gilmore. Dr. Dixon faithfully led the convention for 8 years. In October, 2005, Rev. Dr. Washington L. Lundy, Pastor of the Evening Star Baptist Church in Brooklyn, NY was elected as the Convention’s 11th President. Picking up the mantle, Dr. Lundy profoundly moved forward with the vision and plans for the headquarters’ building. To that end, the headquarters’ building was totally demolished, with the exception of the original foundation, and a new 4 million dollar building was erected and dedicated to the Glory of God on June 12, 2008. Rev. Ronald Grant was elected as the Convention’s 12th President in October, 2011. Rev. Dr. Carl L. Washington, Jr., Pastor of the New Mt. Zion Baptist Church in New York, NY currently serves the Convention as its 13th President. He leads the Convention based on the vision of “Building our Convention to meet the 21st century ministry through evangelism, missions, praise, imagination, revelation and education”. It is yet to unfold the heights this convention shall obtain, yet we are certain; by God’s grace…a sure foundation!